Looking for the best DJ headphones? We’ve got you covered! We’ve reviewed the top DJ headphones in a number of categories, including bluetooth, on-ear, over-ear, and studio. If you’re on a tight budget, check out our first two categories below: best DJ headphones under 100 and 200. Even professional-grade products range in terms of quality, comfort, and durability, so let us be your guide to the best DJ headphones on the market! For pricing, click on any link below. Choosing the perfect pair of top DJ headphones is a bit more tedious than one would initially assume. 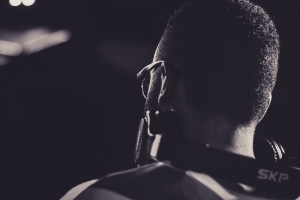 Many are under the impression that if you select a pair under a certain brand name, or that if a certain artist is raving about them, that there’s a reason (other than sponsorship). Let’s go through each point real quick, so you can rest assured you know what to look for! 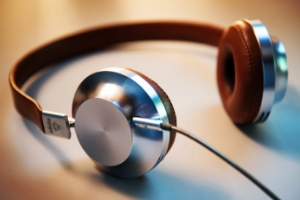 The best place to start is to consider: what will you be using your headphones for? DJing? Monitoring? Just listening? 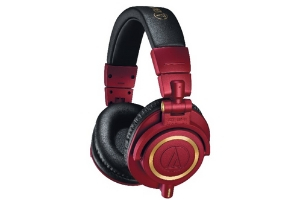 For example, many of the most popular and successful artists out there boast about Audio Technica’s cans. If you’re not careful and don’t thoroughly conduct your research, you could end up with their M30X, instead of the Audio Technica ATH M50X. While there are many differences, the main difference is the 30 is made for mixing and studio monitoring, while the 50 is made for just DJing. While they’ll still work just fine in the club, you’re going to be better off with a headphone specifically made for your craft. Generally speaking, in the DJ headphone world, there are two types: on-ear, and over-ear. 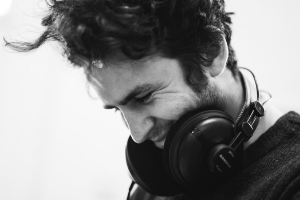 As the names would suggest, on-ear headphones feature ear cups sitting on top of the ear, while the latter sits over, covering the ear completely. One isn’t necessarily better than the other. Both each feature their own positives and negatives, but it ultimately comes down to personal preference. 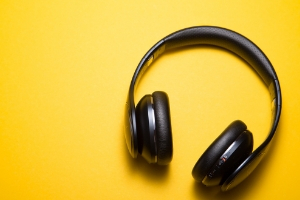 Many prefer the feeling of on-ear as they’re typically smaller, while over-ears create a more secure seal, further blocking out ambient noise to allow you to hear the incoming song more accurately. It is also a good idea to look into whether or not the model in question features pivoting ear cups. This will also depend on your personal preference. After mixing in a song completely, some DJs prefer to take their headphones off completely, while others like them hanging around their neck. If you do the latter, having pivoting cups can add a bit of convenience into your sets, as you can simply rotate them towards your ear to quickly check something without having to completely move the entire set back on your head. Tying in to the previous subject, there are also different types of headphones involving the wire. You can choose the traditional wired versions or wireless, but it’s important to know the pros and cons. Wired headphones are the ones that most DJs use, and for good reason. They’re reliable, and they’re typically less expensive. However, the cord can be annoying for some. 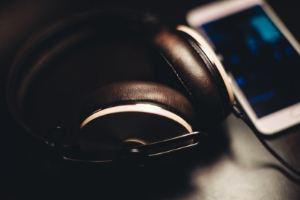 Cordless headphones are more convenient for many who find themselves moving around a lot in the booth or would prefer traveling to gigs without worrying about long cords. However, they require a Bluetooth adapter to be plugged into the mixer, and latency (the time it takes for the music to hit your ears and the audience after you do something on your equipment) is just not realistic for DJing. It can give you a second or two of latency, which makes beatmatching practically impossible. If you’re going to be spending money on something where reliability is essential, it needs to last. You don’t want to be in the middle of a legendary set, only to have the cup disconnect from the band, or have the pillows coming off, right? 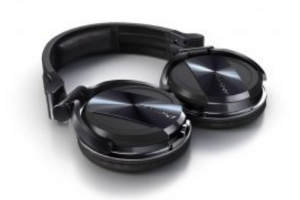 At the end of the day, the best DJ headphones are going to be very durable. We’ve all done it: we get a new pair of shiny, new cans and we handle them as if they were made of porcelain. However, after a gig or two, we find them covered in sticky, dried cocktails, thrown around in the booth, and squished in bags and suitcases. Unless you’re just planning on DJing at home, know that they’re going to need to take a beating. 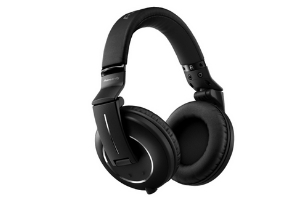 Pioneer DJ headphones are known for being so long-lasting, but Sennheiser is, too. If you really want to improve the durability of your headphones in an easy, convenient way, then it’s never a bad idea to get a protective case for them. This will protect them from sun exposure, from some dings here-and-there, contact with liquids, and more. It also makes them more organized and easy to travel with. However, if we’re purely talking about portability or convenience, then we’d highly recommend going with a wired version that easily folds up easy and compact, and comes with a case. How much should good headphones cost? So, just how much should you spend on your new model? It really depends on you. If we’re looking at the best budget DJ headphones, some good models are available at an affordable price. What we recommend, however, based on our own experience and the quality various brands put out, is to spend around $125 on a brand new pair. This price is for the DJ who is a professional or is serious about improving their skills, and wants a durable, high-quality, comfortable pair without breaking the bank. 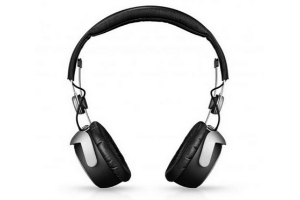 For those seeking the best budget DJ headphones, see our list at the top of this article: best DJ headphones under 100 as well as “best DJ headphones under 200.” Shopping on a budget doesn’t mean quality should suffer! In fact, almost all of our favorite headphones fall into this price, plus or minus a few dollars. That being said, there are some headphones that cost the triple of this, that are still excellent. Again, it comes down to you, your budget, and your needs. If you can shell out more money, then there are plenty of top-notch products our there. Some are worth it, and some aren’t. Many wireless headphones are going to cost you a good chunk more, for giving you that added technology and convenience, so keep that in mind. Just by adding in a cord, you can save a lot of money for the same quality of headphones. As we said before, it’s not just the brand you should be looking at. However, it is a good start. Typically, if you purchase from certain brands, it’s almost a given that you’re going to receive a quality product. 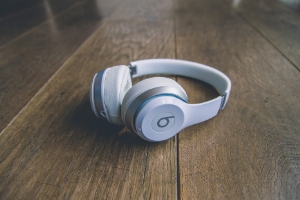 For example, Beats DJ headphones are quite popular, causing many to ask: Are beats headphones worth it? Unless you’re listening casually, no. Read our reviews below to find out more! In contrast, Pioneer DJ headphones are some of the best in the business, and are one of the oldest, most reliable brands in the industry. Audio Technica, Sennheiser, and and V-MODA are all very high-quality brands that produce various models ranging from beginner to advanced, that feature models available at price points perfect for each consumer. We can confidently say that if you go with one of these brands, that you won’t be receiving a poorly-made product. They all have a good sound quality. However, tailor this more to your particular wants and needs. Not every model is made for every DJ. Sound is more or less pretty important to you, right? As a DJ, it’s the most important thing! There are always arguments over what is more desirable or important to look for in a DJ headphone, but it ultimately is going to come down to you. Bringing it back to Beats DJ headphones, these ones are a great example of a headphone that does not feature a flat frequency response. A “flat” frequency response means that the lows, mids, and highs are all equal. One doesn’t stand out more than the other. Beats have a boosted bass frequency response, which means that in the club, you’re going to hear more bass in your headphones. Some like this, and some feel that it’s “too much noise” all at once, with the headphones with boosted bass, rumbling monitors, and main going at the same time. We recommend a more “flat” sound. 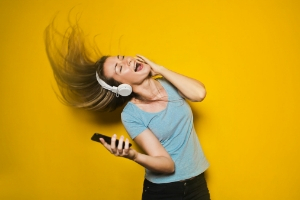 While it may not sound as fun during casual listening, it’s going to give you a more accurate view of each track, making it easier to smoothly transition from one track to the next, and hear each element clearly and equally. 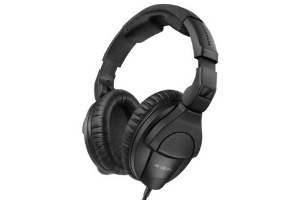 The Sony MDR-7506 are some of the best DJ headphones under 100 dollars, easily. The model has been around for nearly 30 years, which gives you some insight into how well-made they are. The closed-back, full-size headphones work well with just about any genre you throw at them, and at only 8 ounces, they’re very lightweight. While they don’t feature active noise-canceling technology, they do block out a solid amount of external noise, making them great for wear in the clubs. The sound is also very accurate in the highs, midrange, and lows. The only real downsides for us, was the fact that the cord is permanently attached, so you don’t have many options with other cords, and that the headphones aren’t as thickly-padded as some others on the market, today. Overall, if you’re looking for one of the best budget dj headphones, these are them. 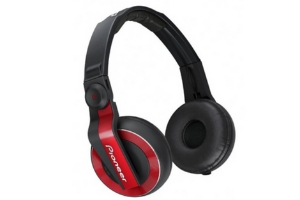 The Pioneer DJ HDJ-X5 are some of the most durable headphones in this price range. If you’re searching for the best Pioneer DJ headphones, the HDJ-X5 are worth a closer look! In fact, they’ve even cleared the US Military Standard Shock test, to give you an idea of how tough they are. Featuring a bendable headband and swivel ear cups, you’re provided with true flexibility in how you wear them. The foldable, lightweight design makes them simple to travel with, and the foam-padded ear pads make extended wear a breeze. With 40mm drivers, they feature accurate mids and heavy lows. However, due to the boosted bass, mixing was a bit more difficult, and the highs seemed a bit subdued in comparison. Some of the best Audio Technica headphones are actually some of the most inexpensive. 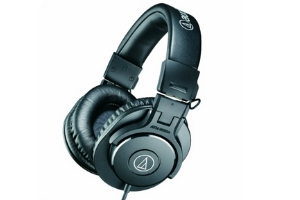 The ATH-M30x feature excellent build quality, as is consistent with their products. Padded swivel ear cups make for flexible use, and they also fold inward to storing them easily in the included carry pouch. At just 7 ounces, they’re some of the most lightweight on the market today. They seal out external noise well, and the sound is very well-balanced and “open”, making them perfect for the studio or djing. The only things we’d like to see improved upon, would be making the 11-foot cord detachable, as it’s quite long, and improving the swivel to be on two axes, rather than one. 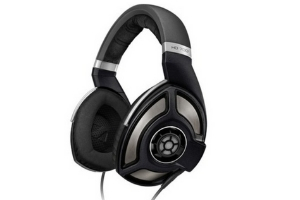 It came as no surprise that we fell in love with the ATH-M50x, as we were already so pleased with the previous model. With accurate tonal balance and spacious stereo imaging, you receive clear sound with detailed bass, midrange, and treble. You’re no longer limited to one cord, as they give you one coiled cord and two straight ones (one shorter than the other). With comfortable, thick ear cup padding, you’ll forget you’re even wearing them, even after hours of use. The ear cups swivel on two axes and fold completely for easy transport, which means you can mix your way. The only real downside we saw, was that the design is a bit bulky and heavy, which can make it difficult if you have limited room in your bag. The Pioneer HDJ 500 is the most affordable in their line of headphones, but is surprisingly high-quality. Coming with luxurious leather-covered ear pads and headband with urethane memory padding, you’ll be mixing in comfort and style. They come with a straight 3-foot cable, a coiled 9-foot cable, and a screw-on adapter so you can listen anywhere. The right ear cup features a 60-degree swivel for one-ear-on, one-ear-off listening. Unfortunately, only one of the cups feature the swivel. Highs, midrange, and lows are all detailed, but the lows are a bit heavy. In high-volume instances, we noticed the lows even getting a bit muddy. Overall, they’re a great, well-built headphone given the price. The Pioneer HDJ-1500 is the perfect option if you want to take things a step further than the HDJ-500s. They may not be as luxurious as the HDJ-2000s, but they’re definitely a great option if you need all that’s “necessary” for a DJ. 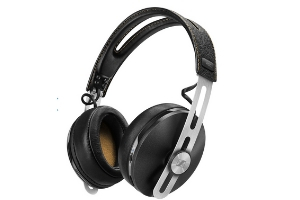 They’re built solidly, with a slimline design, leather ear-pads, and a rubbery/leather headband. The ear cups swivel forward and up-and-down, allowing you to truly wear them how you please. The sound isolation is quite impressive, and the sound across the board is crisp and loud. The only real downside is that they can get a bit uncomfortable when placed snugly against the ears. 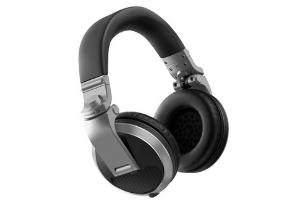 Quite possibly the best dj headphones under 200 dollars, are the V-Moda Crossfade LP2s. They come with the hardshell Exoskeleton case, two cables, a ¼” audio adapter, carabiner, and two gunmetal shields that can be changed out with the standard shields on the ear cups. Featuring a Kevlar-braided cable and military-grade construction, you can throw them around and they’ll stay strong. They’re a bit heavy, as one might imagine, but still very comfortable. Overall, the sound is quite crisp, however, the lows are a bit heavy and can make the midrange seem a bit obscured when listening and mixing. In general, however, we loved these gorgeous, comfortable, great-sounding headphones. Some of the best Pioneer DJ headphones are the HDJ-2000-MK2s. Developed with the help of DJs, these headphones feature low-volume air chambers and airtight stitching to deliver pristine sound. Featuring urethane memory foam ear pads and leather covering, comfort isn’t even a question. They come with a hard carry case and detachable cords so you aren’t just stuck with one. They fold easily for added durability and portability. With a 38 micrometer diaphragm, 50mm drivers, and precision rolled voice coils, you’ll receive clear, detailed sound with excellent sound isolation. The ear cups also swivel 90 degrees, so you can monitor how you’d like. The only real “con” for us, was that there was little depth to the music, with the lows and mids being a bit lackluster. The Sennheiser HD 700 is undoubtedly one of the best dj headphones 2018 has to offer. The large, full-size audiophile model features a wide-open sound profile that sounds great just about anywhere you use them. Lows, midrange, and highs all sound smooth and crystal-clear; so clear, that you can almost hear the texture of the music. However, it doesn’t just sound phenomenal, it also feels it with plush, microfiber-covered ear pads and light ear pad pressure. 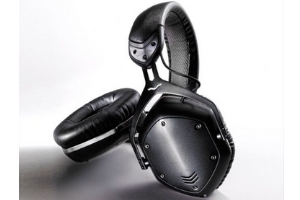 The ear cups feature an open-frame earpiece, an open-air acoustic chamber, and a 40mm driver. Ear cups move on two pivots, and come in a padded case with a 9.8-foot Y cable. The downside? That they don’t fold up, which makes them a bit of a hassle to carry. Not only that, but they do have a very high price tag. We can’t say these top DJ headphones aren’t worth it, though! Picking up the Sennheiser HD 8 top DJ headphones, you’ll receive with them a big, hard shell carry case, along with a long, spiral, Kevlar-enforced cable, which also features an extra pair of Velour ear pads! The high-quality construction features both plastic and metal, with leather-covered, cushy foam ear pads. The unique hinges click as you swivel them up to 210 degrees, to your liking. The drivers feature a very wide bandwidth, perfect for that flat, accurate response. The lows, midrange, and highs are all very crisp and accurate, making them perfect for DJing. The ear pads seal well to create good sound isolation, too. The only downside is, that if you want to drive them at more than 50% its volume capacity, you’ll need an amp. The V-Moda Crossfade M-100 headphones are built for battle! In fact, it’s made to withstand over 70 impacts from over 6-foot drops on a concrete floor. The steel-reinforced headband can be flattened and still return to its original shape, and the faux-leather covered, memory foam ear pads can all be replaced (although you probably wont need to). 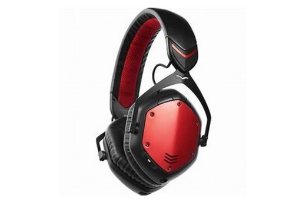 As is typical with V-Moda, they’re extremely comfortable to wear, and come with a cool-looking Exoskeletal shell case, and two Kevlar-reinforced cables, which can connect to either ear cup. Featuring 50mm drivers, the bass response is full and rich, yet remains quite clear. We unfortunately, weren’t as impressed with the midrange clarity and treble detail. Overall, though, they sound, look, and feel wonderful! While they may not look all that stunning, the Sennheiser HD 25’s are some of the best DJ headphones of 2018. Given how high-performing they are, they’re marked at a very reasonable price. Made of high-quality aluminum, they’re not only durable, but very small and lightweight. The soft foam ear pads are great for extended listening periods, and the detachable cable makes things easier for you. The cushioned, double-band headband gives added comfort, too. Rotating ear cups let you listen any way you’d like, and the sound is vivid and clear all across the board. With high tolerance to sound pressure, you can be sure you’ll hear your music just fine in loud environments. The only thing that could present potential problems, is the plastic frame, which can break if you continue being rough with it. 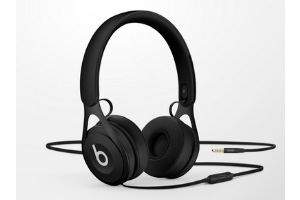 The Beats EP headphones have a DJ look with relatively good sound, and a trendy look. If you’re more about the sound than the looks, you may want to go with another pair. The ear cups pivot on two axes, so you can move them how you’d like. However, they’re not very comfortable to wear, pressing against the ears and head. The foam padding is soft enough, but the pressure the headband applies just above the ears is not pleasant. The Beats EP headphones feature a cable that is detachable, and can be used on either ear cup, which is nice. With 40mm drivers, the sound is by no means “poor”. However, they feature a very boosted bass, which can diminish the clarity of the midrange, and make mixing in loud environments a bit challenging. If that’s your thing, though, great! The Beyerdynamic DT 1350 may not be the most stylish headphones, but one cannot deny how amazing they are to use. The smooth response and slightly deeper bass make for a wonderful listening experience. The closed, on-ear headphones are small, but they’re easily portable and heavy-duty. Sound is very detailed, natural, and clear, making mixing a breeze. The bass is un-boosted, yet very distinct. With the included, hard carry case, you can easily take them with you anywhere. The headband features double bands, and the angle can be adjusted to make it as comfortable as possible. Ear cups are padded well enough, and they pivot on two axes. The headband is a bit tighter to achieve better sound isolation, but the adjustable band angles can usually relieve some of the pressure. 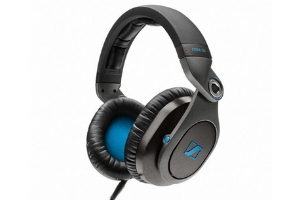 The incredible Sennheiser HD 280 Pro headphones are dynamic, closed-ear headphones. These suckers are extremely comfortable, thanks to headband padding. The HD 280s are highly versatile, offering ambient noise elimination ideal for at-home listening, studio monitoring, or DJing. They’re perfect for taking on the road, thanks to a space-saving design featuring collapsible, rotating ear cuffs. 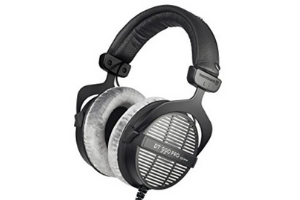 The Beyerdynamic DT 990 headphones are a leader when it comes to studio applications. These over-ear style headphones are fantastic for professional mixing, mastering and editing. Sonically, they feature mild bass and boosted treble with clarity and transparency. And don’t worry if the ear pads wear out! The soft velour pads are highly comfortable and can be replaced with ease. A single-sided cable makes it hassle-less to put on and remove the DT 990’s. Bring a new level of excellence and clarity to your mixing experience with these headphones! We’ve reviewed these headphones above! The Sennheiser HD1 Wireless headphones make it effortless to jam to your favorite tunes on the go! No cords, no plug-ins, no hassle. 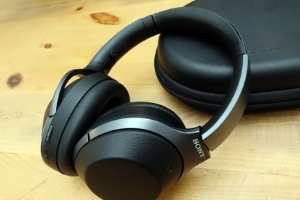 Featuring Bluetooth 4.0 technology, these headphones will connect to most devices. Sennheiser’s signature Noise Gard ensures a clear, uninterrupted listening experience whether you’re spinning a DJ set, riding in an airplane, or monitoring. These headphones feature the added bonus of two built-in microphones, which allow you to take phone calls in the car or wherever you happen to be! Why dual mics? This improves vocal quality during calls and removes white noise that may be distracting. 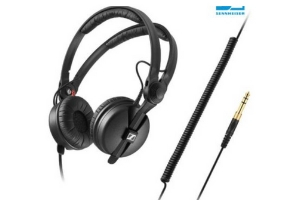 Lastly, we love that the Sennheiser HD1 headphones are fitted with jack plugs on both ends. The cable can be detached, allowing you to choose which side to plug into. In the event of needing to replace the cable, no problem! Sennheiser has backups for purchase, and this may be included under the 2-year warranty (if purchased from an authorized Sennheiser dealer). Fairly expensive for those looking for a cheaper set of headphones, although this investment is well worth it! On the hunt for the top DJ headphones for sound isolation? You can’t get better than the Sony-WH-1000xm2, and is only rivaled by Bose’s QuietComfort 35 II. With atmospheric pressure optimizing, ambient sound control, and equalizer and surround/sound position control, you can create the sound how you’d like from the app or physical button, depending on your environment. The padded ear pads and band are comfortable enough, and the design is lightweight. The sound is very accurate, detailed, and clear, with a slightly warm quality. They’re wonderful for wearing for long periods of time. It is a Bluetooth headphone, which can be great for casual listening, but some DJs may be concerned over possible latency problems, which can make beatmatching near impossible. You’ll also have to think about battery life, now. 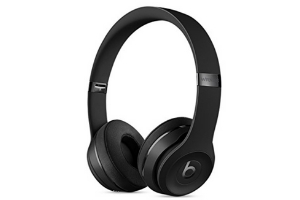 The Beats Solo3 Wireless headphones are sturdily-built wireless headphones which can be used wired, as well. With an up to 40 hours of battery life, it can be used just about anywhere with ease. The sound is pretty standard with Beats, with it not being “bad”, but featuring an overly-boomy bass. While the headphones stay securely on, they can be a bit uncomfortable due to the pressure of the headband. They seal out an okay amount of external sound, but not enough for us to recommend them as a DJ headphone. Coming in various attractive finishes, they’re perfect for casual listening. They have a built-in microphone for making calls, and the call quality is pretty good. Overall, however, we feel that if you’re going to use them for DJing, don’t. As we’d previously mentioned, these are some of the only headphones on the market today with pristine sound isolation. 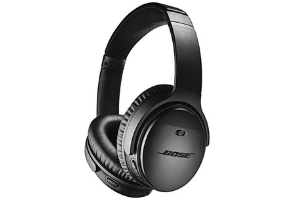 The Bose QuietComfort 35 II headphones feature pristine wireless Bluetooth sound, and an ultra-comfortable design with a super cushy band and leather-covered plush ear pads. We liked that you can choose to go corded for djing, which is the more reliable way to go, however, for casual use, you can use the Action Button for Google Assistant or use their app. 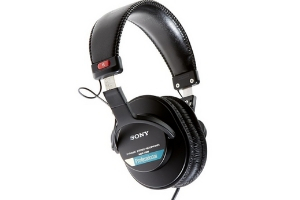 You can also choose your preferred noise-cancellation levels with the press of a button. The ear cups to rotate, for your convenience and are easy to transport with the included case. While the sound quality is pretty great, it’s not the best, with slightly less clear sound than others on the market today. 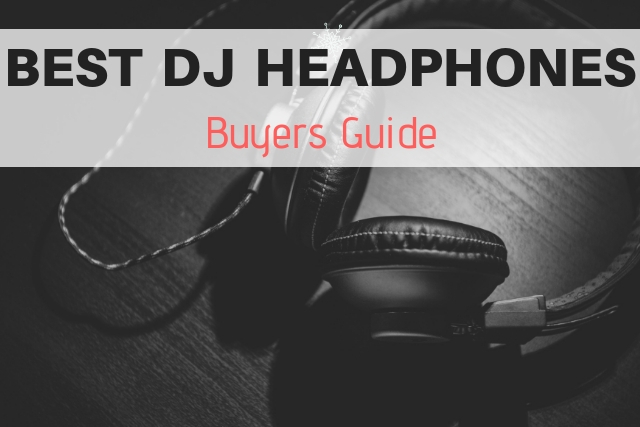 Finding the best DJ headphones can be difficult, with so many options saturating the market. We hope these reviews have helped you select a great product, whether Sennheiser, Sony, Bose, Beats, Pioneer, V-MODA, or Beyerdynamic. Whether you’re on the hunt for the highest quality Pioneer DJ headphones, or the best budget DJ headphones, keep practicing and honing your craft. 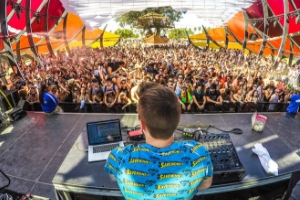 With a great set of headphones standing by, you’re that much further on your DJing journey.